Did you know the average garage door opens and shuts 1,500 times per year? This makes choosing the best garage door opener even more crucial. Every garage door needs an opened to function. Keep reading for reviews of the top models, and to learn how to choose the best garage door opened for you! 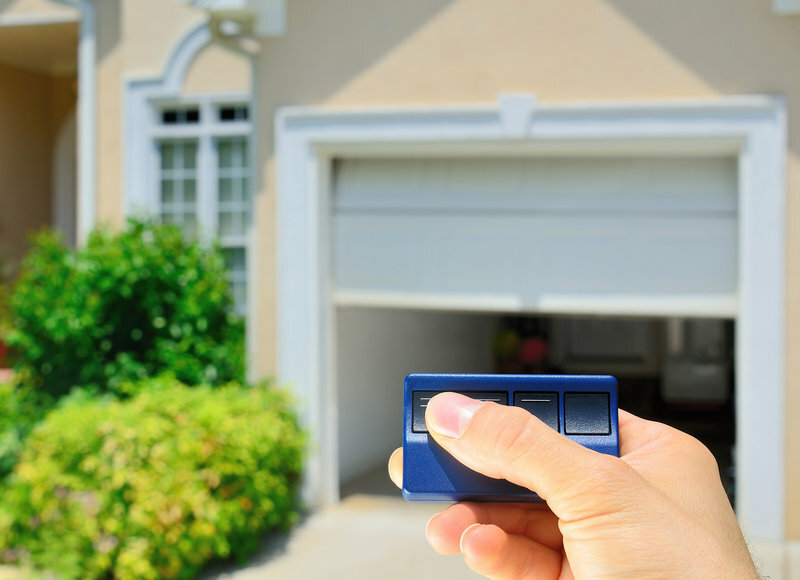 Having a reliable garage door opener means that you are able to open and close your garage door whenever you need to use it without worrying about it breaking down. Before we chat about some of the best garage door openers lets learn about the different types. There are four basic types and they all have one thing in common. They all are made up of a motor that moves a trolley. The trolley which is connected to the door moves the door up or down when it’s activated. This type of opener usees a rubber belt to slide the trolley when the door is activated to either open or close. The trolley moves over rubber instead of metal making for a smoother and quieter motion. Running on a belt drive means less vibration than a chain drive opener. Since there are less moving parts these openers require less frequent maintenance. They are great for any type of home but recommended for garages that are next to a bedroom or living area or right below a bedroom. This type of door opener a metal chain drives the trolley that moves the door up or down. This is usually the least expensive type of door opener making it the most commonly used. Chain drives can be noisy because of the chains which aren’t popular among noise-sensitive people. These are best for garages that are detached from the home or away from any bedrooms. This type of garage door opener a threaded steel rod is responsible for the movement of the trolley. This type of opener has less moving parts making it have fewer maintenance issues. These openers are similar to belt drives with the fact that they are quieter than chain drives. These are also ideal for all type of homes because they have a vibration-free movement. This type of garage door opener is the least complicated of all opened types because the motor itself moves the trolley. This removes needing a belt, chain or threaded steel rod to move the trolley. This simplifies the process and makes it a quiet operation of moving up and down. This door opener is great for any type of home as well. Let’s check out some reviews of a couple of different garage door openers. This opener is a great budget option and reliable. Its motor is equivalent to 1/2 horsepower. Its a chain drive system that is quick and easy to install. With this opener, you have the option of connecting it to the MQ technology to use with your smartphone. Chamberlain offers a 10-year motor, 2-year parts, and 1-year accessory warranty. This garage door opener is the best overall in reviews. This model has an exclusive Motor Vibration Isolation System which eliminates vibrations, in turn, having less noise. It also allows you to monitor and control the opener via your smartphone with the MyQ enabled technology upgrade option. It has the option of setting a timer to close the door in either one, five, or ten minutes and the built-in sensors won’t close the door if something is in the way. This opener has a powerful 1/2 horsepower reliable and rugged motor. This model has a 100-watt bulb giving you overhead light when the opener is activated. The PD512 comes with a pre-programmed remote that can be used to open and close the door over a long range. It has sensors preventing the door closing on anything or anyone if it’s in the way. A unique feature this opener has it its Patented Security + 2.0 rolling code technology and PosiLock anti-theft protection. This door opener is a belt drive making it extremely smooth and quiet. It uses a 3/4 motor making it capable of lifting a garage door weighing up to 500 pounds in weight. This model comes with a wireless keypad and dual remote controls to ensure that you have the only access to that garage door. If you are worried about losing the remotes or “keys” it’s compatible with a few different in-car remote systems which you can keep at home as spares. This is a great option if you’re looking for a fast garage door opener. This model has a direct screw drive making it stable and fast while opening and closing your garage door. This opener comes with two remotes and a wireless keypad giving you the option to open the door with a pin. There is the option to have this opener smart-enabled you just have to buy the kit separately. A unique feature this opener has is the Safe-T Beam. It uses an infrared beam that prevents accidents by opening or closing the door if a car is getting too close. When you choose your garage door opener it’s helpful reading reviews from other consumers. Knowing the difference in types of garage door openers and reviews on different models should have you feeling more knowledgable and confident in choosing your garage door opener. Looking to replace your garage door for a more reliable one, or grab the best garage door opener for you? Contact us for a complete list of our garage door services.